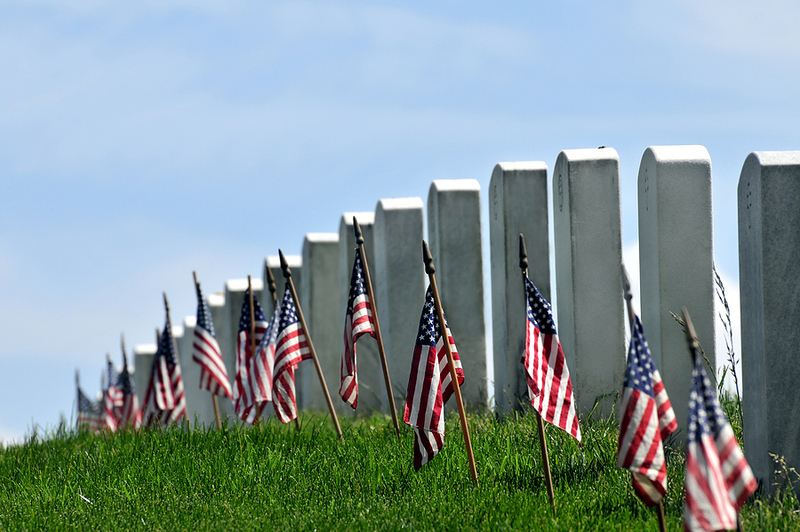 In a more innocent time, Memorial Day meant something special. For my father, a World War II veteran, it was a time to honor the soldiers who lost their lives defending our country. It was a time to fly the flag and pause to reflect. My father’s generation understood why they went to war. They never questioned it. They never doubted. They knew what America stood for and they did what they had to do, even if it killed them. Then they came home and worked their butts off raising their families. On Memorial Day we still honor those who fought and died but now we are less certain. More conflicted and less united. More divided, more cynical and less patriotic. Today it’s about long weekends and kicking off the summer. Big box sales and parties. Baseball and barbeques. My father passed away on Memorial Day in 1991. So on this weekend I think about him and salute the sacrifices he and his generation made for their country. His America was different than mine but it still holds the same promise. The brand is a little more tarnished and the answers are not as clear, but when you peel back the politics and turn down the volume that stokes the fear, the values are still the same. Justice. Equality. Compassion. Strength. Courage. Here’s to you Dad. I will remember. I will stand up. I won’t forget.